About the property: The property comprises spacious lounge/dining room with a south-facing Juliet balcony. Stunning kitchen. 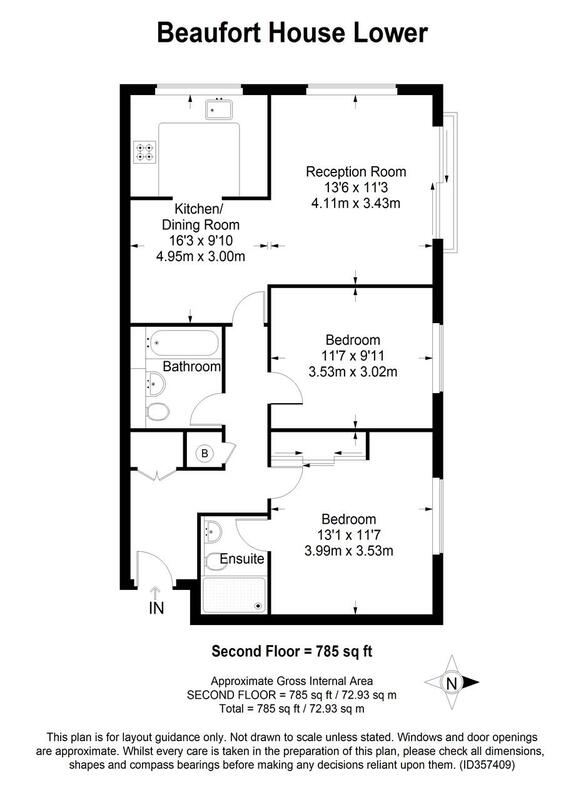 Two spacious, double bedrooms, one with contemporary en-suite shower room. Separate family bathroom and two hallway storage cupboards. Further benefits include, a share of the freehold, garage and communal gardens. Location: The property is well located, within walking distance from Wimbledon Rail, District Line and Tram Station , Raynes Park mainline station(0.5 miles) is also within a short distance and a great alternative link into central London. There is easy access to the A3, Wimbledon Common, excellent Primary and High Schools together with other local amenities. Further benefits include no onward chain, share of freehold and private garage. How to view: Please contact our Wimbledon Hill Office on 0208 944 2918, Wimbledon Park office on 0208 879 3718 or our Putney Office on 0208 785 3652 for more information or to book a viewing. We are open from 830am – 7pm Monday to Friday and 9am – 6pm on weekends. Sole Agents.